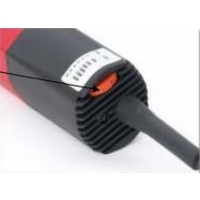 This hand held wire stripper is a self contained, electric motor driven, hand held magnet wire stripping tool. 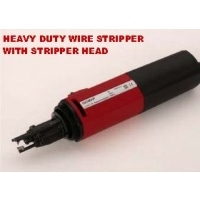 It consists of an integrated motor and stripping head with a speed adjustment control. 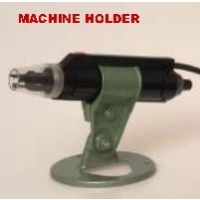 The stripping head is equipped with three hard metal knives which are closed onto the magnet wire by cenrifugal force of rotation. The speed is set on the unit. 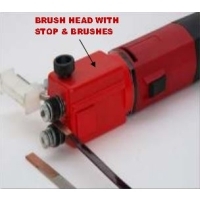 The wire has to be inserted into the stripping head knives, the tool is switched on and the wire is pulled out of the rotating stripping head. 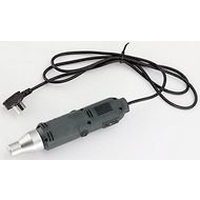 Stripper Head (4.0mm – 8.0mm).